5 Songs We Can’t Stop Listening to is a collection of our newest favorite songs. And Every week we ask an artist that we love to tell us about the music they love. Listen to the whole thing in the player below. Song one of each week is selected by a musician that we love. Moby needs no introduction. Musician, animal rights activist, he released his memoir last year, he opened a restaurant recently, and on March 2nd he is going to be releasing his new album, “Everything Was Beautiful, And Nothing Hurt.” We have been playing his new song, “Like a Motherless Child.” My guest this week is Moby. Justin Barney: Moby, what is one song you can’t stop listening to? 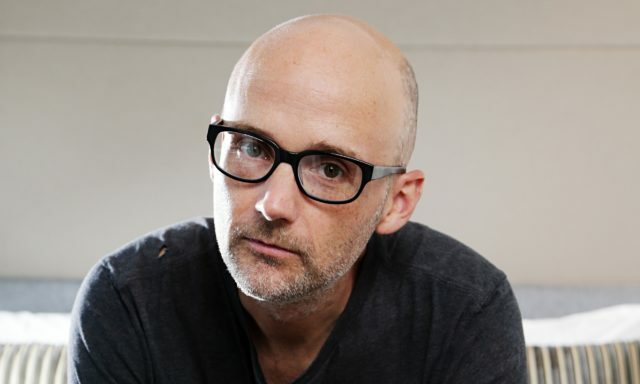 Moby: Well, it’s not a new song. I’ve been listening to “Heroes” quite a lot. It’s sad, but quite remarkable that David Bowie and I were quite good friends. I remember in particular this one moment. We were going to do a show at Carnegie Hall together. He came over to my apartment one morning and he brought coffee, because he was very considerate, and we played “Heroes” on acoustic guitar. Just the two of us. Sitting on my couch on a Saturday morning in my apartment. “Heroes” was released in 1977 on his album of the same name. The Decemberists have a new song called, “Severed.” Now, when I think of The Decemberists, I think of old timey sea shanties, antiquated words like “gabardine,” and 15th century British folk songs. The last thing I ever expected to hear on a Decemberists song is a synthesizer. And synthesizers are all over this song. This is going to be controvertial for Ddecemberists fans, I think a lot of fans are not going to like it, however, I think it looks good on them. I think that it is a good move for The Decemberists. In the last two albums they rested on their laurels a bit, I still loved them, I am an apologist so take these words with a grain of salt. But I think this is a good look for The Decemberists it’s something new, it’s something daring. They are taking a risk and I applaud them for it. I can’t wait to see what the rest of the album sounds like. I’m excited about The Decemberists again. The Decemberists new album, “I’ll Be Your Girl, will be out on March 16th. Zuli is Ryan Camenzuli, from New York, New York. Last year he released his album, “On Human Freakout Mountain.” You have heard his song, “Blaze” on 88Nine, my guest is Zuli. Justin Barney: Zuli, what is one song you can’t stop listening to? 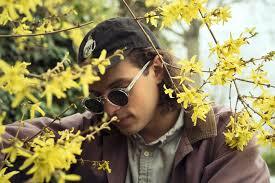 Zuli: I can answer that pretty easily because I was just listening to it, it’s, “Only One,” by Kanye West. So so much. Zuli: I think that song is so amazing. The message is so beautiful and the lyrics are so vivid. It captures such a moment. On top of that, something that I always aspire to with my writing is to write honest and write what I call a, “timeless melody” that can just kind of work on it’s own weather it is with a full band or stripped down. Paul McCartney, one of the greats plays on that track and just the tone of the piano, and the chords, and just everything about it is just so beautiful. I feel like it’s a work of art. “Only One” was released as a single in 2014. Justin Barney: I’m here with our Program Director, and my boss, Jordan Lee. Jordan, what are you listening to? Jordan Lee: Rapsody is an awesome MC. I first heard her on Kendrick Lamar’s “To Pimp a Butterfly.” So in 2017 she dropped “Laila’s Wisdom” and I went back and spent a little bit of time with it and this is my jam. Justin Barney: What wisdom is she dropping on you? Jordan Lee: Well lyrically, I would say she’s up to par with some of my favorites rappers. I’m talking Talib Kweli, Common, Black Thought, Kendrick, and she’s up there. AND, they are all on this album too. In fact the song I picked today has Anderson .Paak, Black Thought & Moonchild on it. Justin Barney: What about the production on it? Banging? Jordan Lee: Yeah, but the whole album has this sensibility of what I like to call, “True school hip-hop.” It’s got that soul and funk roots to it. It definitely uses contemporary hip-hop production as a main theme throughout the album. But it’s not gonna feel leaned out. I don’t know nothing about this song other than it’s produced by Baltimore knob twister Dan Deacon, though you would never expect it. It’s buzzing guitar and audible sneer has the wild eyed confidence and attitude of mid-90’s Nick Cave and the Bad Seeds. “Dunce” spits attitude and drips in cool. “Dunce” will appear on Ed Schrader’s Music Beat’s album, “Riddles” due out March 2nd.